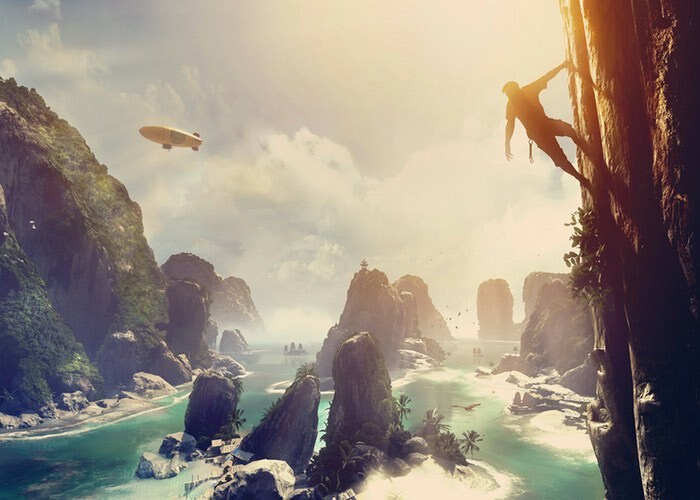 Those of you that are still waiting for your virtual reality headset to arrive, or waiting for the launch of The Climb which is now available and has been developed by Crytek. May be interested in a new review of the game by Scott Hayden from the Road to VR website which sheds a little more little on the gameplay and immersive qualities of the game and what you can expect from the storyline. Check out the official trailer for The Climb below to see what you can expect from the new VR title, and read more about what Scott had to say about the new virtual reality immersive game which is being built and powered by CryEngine. Ascending the face of a rocky outcropping nearby a pristine beach, I stare intently at my floating, disembodied left hand. I look left, and the hand follows my gaze. I arch my neck up, and the hand stretches out. Pulling down on the left trigger on the Xbox controller, I make contact with a higher divot in the rock face, and pull myself up, of course earning myself experience points in the process. I’m about two-thirds done with ‘the Bay’, the first level of the game, and I can already feel my neck muscles straining from the exaggerated movements I’m making to reach the next hand hold. I push past the growing discomfort in my neck and make a jump to the last ledge, pulling myself up to the top of the rock so I can gaze out over the dusky panorama—a place that’s so convincingly real and teeming with life that it easily trumps any real 360 video I’ve ever seen. For the full review of The Climb jump over to the Road to VR website via the link below.